Did you know that the British Museum has one of the world’s largest collections of mummies? Those from ancient Egypt mind you, not the superwomen kind that you can find at home who are always picking up after their kids. Amusingly enough, Ale really though she was going to see displays of her own Mummy when her 2 brothers told her that we were going to see some mummies after our visit to the 50 Greatest Photographs of National Geographic and Essential Eames exhibitions. 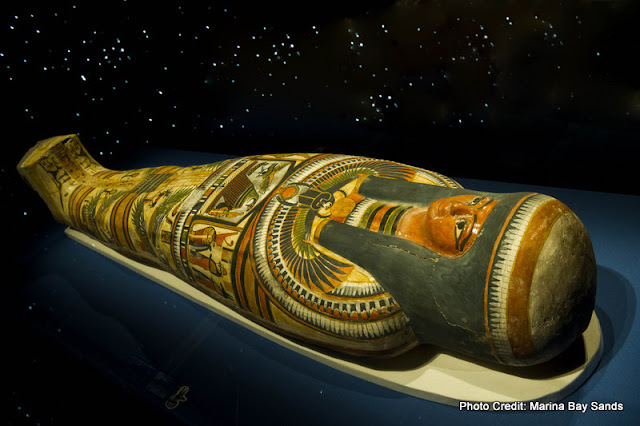 ArtScience Museum's Mummy: Secrets of the Tomb, in collaboration with the British Museum, promises to unwrap and reveal the ancient burial practices and mummification processes that were followed by the ancient Egyptians. 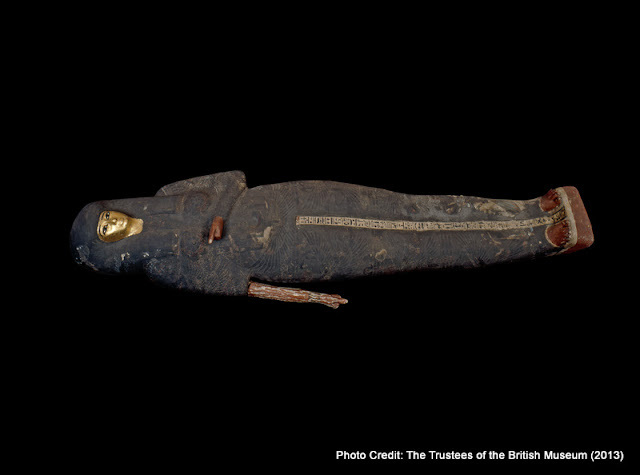 The centrepiece of Mummy: Secrets of the Tomb is Nesperennub, a temple priest who lived 3,000 years ago and died at about the age of 40. 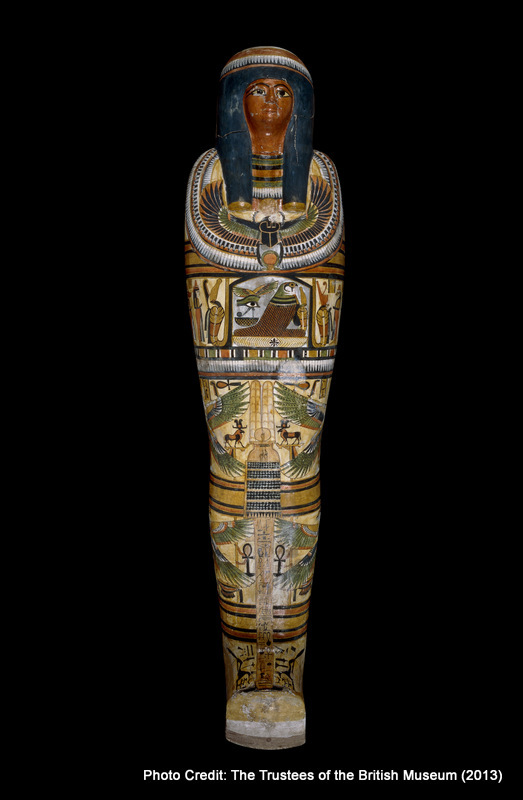 And it is this particular mummy of Nesperennub that is the subject of an excellent 3D film that every visitor must watch at the beginning of the exhibition. The 20-minute 3D film captures the “virtual unwrapping” of the Egyptian mummy of Nesperennub. 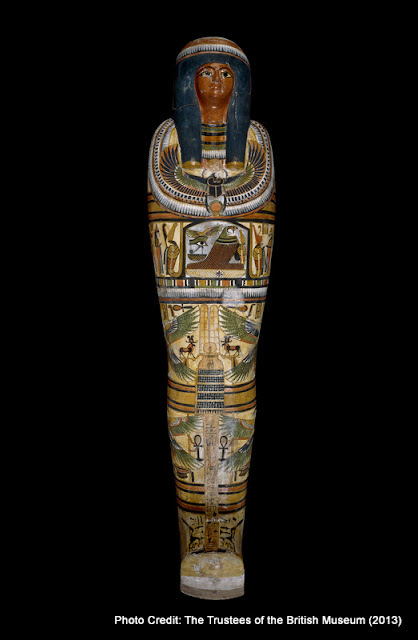 His original cartonnage has never been opened but through the development of modern technology, viewers will be able to see right inside, complete with a digital reconstruction of his facial structure. An important point to note - Although the film has been approved for general public viewing, ArtScience Museum does not recommend this film for children under six years old perhaps due to the fact that there were some instances in the film where it described the process of how the brain and internal organs were removed from the body. Ale sat through the film though, and she was not affected by it. 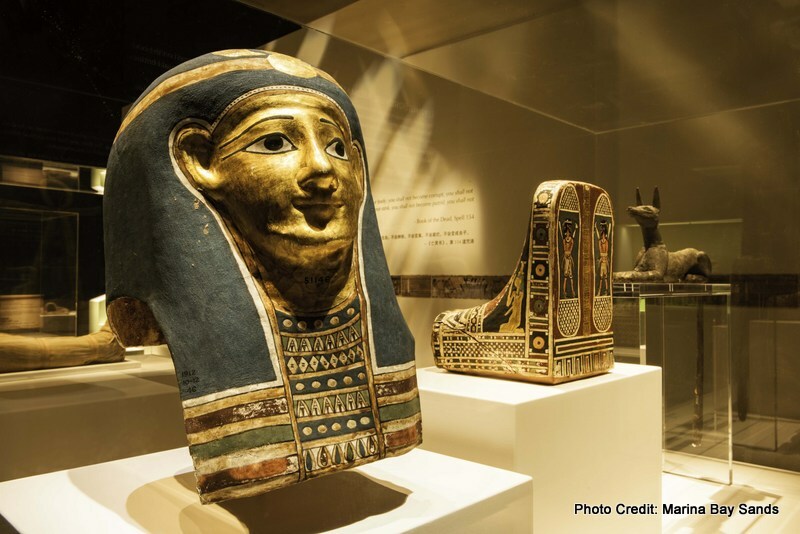 After the film, visitors then be able to walk through the exhibition which includes over 100 stunning artifacts as well as six mummies, including mummies of a kitten and an Ibis bird from the Roman Period (after 30 BC). 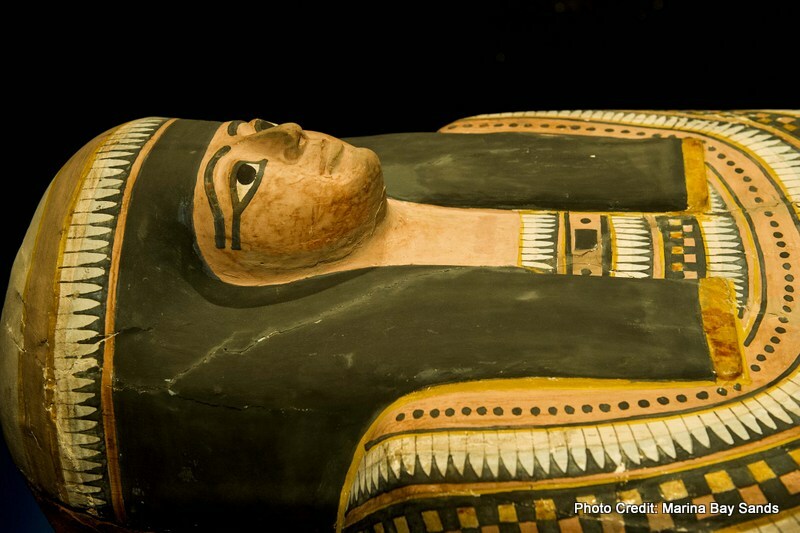 Among the other mummies on display in the exhibition is the mummy of Tjayasetimu. A singer in the temple of Amun, Tjayasetimu died when she was still a child, around 800 BC. Her carefully embalmed body has been enclosed in a cartonnage case representing her with the golden face of a divine being, and with her hands, feet and arms partly freed from the traditional mummy wrappings. 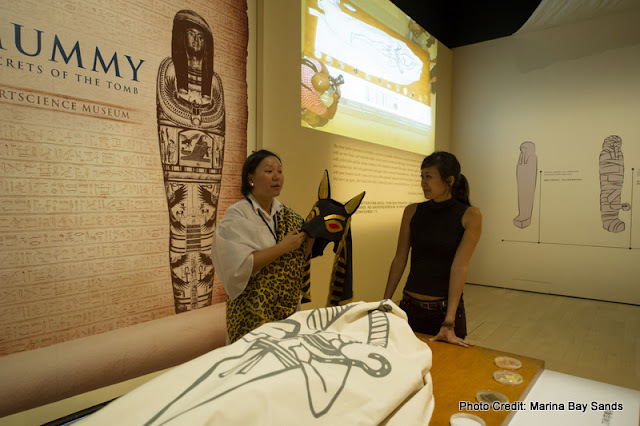 In conjunction with the exhibition, there is also an interactive Embalming Workshop (Saturdays & Sundays; 5pm - 6pm) which complements the exhibition's detailed look at ancient Egyptian beliefs and practices related to the afterlife as well as shed light on the scientific process of mummification. Kids are not neglected either. They will also be able to take part in a specially-designed exhibition quest through age-appropriate (3 different age groups - kindergartners, primary school students & secondary school students) activity bags containing a host of engaging activities and tools directly related to the artifacts on display. Among these are jigsaw puzzles, creative games, and magnifying glasses to help these young Egyptologists complete various challenges. The activity bags are made available to visitors during their stay within Mummy: Secrets of the Tomb and are complimentary for ticket-holders. Oh, and did I mention no photography is not allowed inside the exhibition? 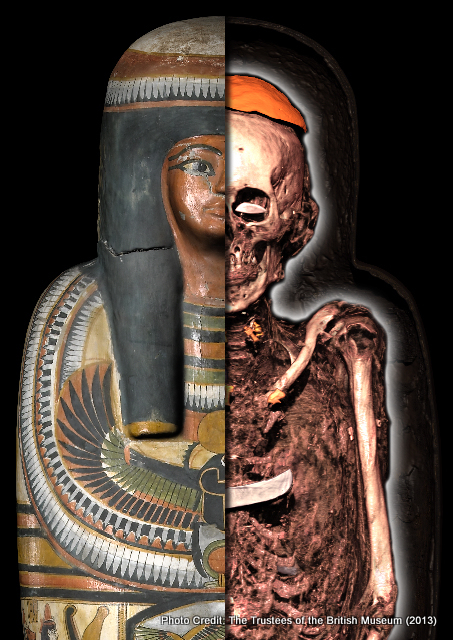 And this was probably the contributing factor as to why I exceptionally enjoyed the Mummy exhibition the most. For once, I didn't have to worry about taking photos but instead had all the time to slowly view the exhibits and read the information panels beside them. The wifey had long been wanting to pay this exhibition a visit, so it's safe to say that she loved it too. What of the boys? I reckoned the exhibition was a huge eye-opener for them as it got them all intrigued by how the Egyptians were able to mummify a dead person so many years ago. In fact, they even requested to go to the library after the exhibition, just so that they could borrow some books on Egyptian Mummies!